Do you participate in an Employee Stock Ownership Plan? Have you ever wondered how to diversify your retirement assets by investing in physical metal bullion, such as gold and silver? Not traditionally compared with other employer sponsored retirement plans (such as 401k or 403b plans), an Employee Stock Ownership Plan — or ESOP — is nevertheless an important, tax-advantaged investment vehicle. 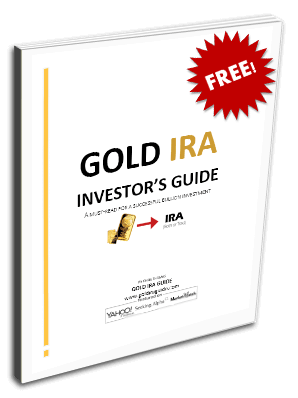 Here, we’ll go over what Employee Stock Ownership Plans are, how precious metals investing works, and how you can safeguard your retirement assets against economic calamity. In an ESOP, the employer sets up a trust fund where it is able to share its own stocks or designate cash to purchase existing shares. In the United States, ESOPs are the most common method for employees to become part owners of their company. Shares in an ESOP trust are allocated to specific employee accounts, although the formulas that govern the allocation of shares may differ from company to company. Like other employer sponsored benefits, employees are usually not fully vested in their ESOP account until they have attained a certain seniority with the company. If you leave your company, you will receive your vested stock and the company must buy them back from you at a fair market price. ESOPs also have tax benefits. For the issuing company, stock contributions are tax deductible. Employees pay no taxes on any received contributions, and they can even roll over distributions into an IRA or other qualified retirement plan in order to avoid paying income or capital gains taxes. ESOP distributions can be rolled into other qualified retirement plans, but the distribution rules may differ from employer to employer. If you have an ESOP, consult the Summary Plan Description for specific distribution rules. Much like a 401(k), there are penalties for taking distributions in cash prior to retirement age, and distributions are mandatory on April 1 following the year you turn 70 ½. Your company can make your ESOP distribution in stocks, cash, or both. No matter how it is received, you always have the option of cashing in your stocks. If you put the money into a traditional or self-directed (not Roth) IRA or the distribution is rolled forward into another qualified retirement plan in another company, there is no tax until the money is withdrawn, when the withdrawal is taxed as ordinary income. Here is a table that illustrates how an ESOP compares to other retirement vehicles. Unless you have accumulated diversification rights through your employer, ESOP participants cannot add gold investments through their ESOP. Unless you work for a gold mining company, your ESOP account will not contain any physical gold or “paper” gold. Regulatory Risk: mining and exploration companies are subject to increased regulation and taxes. Cost of Production Risk: mining equipment depreciation, increased property values, and labor cost increases can all negatively impact a mining company's valuation. Management Risk: mismanaged or overly leveraged companies can and do declare bankruptcy or close shop altogether. Fiat Currency Risk: when you sell securities like gold stock or shares of gold mutual funds, you will be paid in a fiat currency. In the event of currency collapse, that means you can be left holding worthless paper. The advantage of rolling over your ESOP distributions into a self-directed IRA is that you are able to control the designation of your retirement funds and open up new tax-free investments – like precious metals. In an employer-funded profit sharing plan, such as a ESOP, your investment options are obviously quite limited. Additionally, ESOPs require the account owner to establish a vesting schedule, which means that you are only entitled to your funds after a certain length of time has passed. In terms of flexibility, the self-directed IRA wins hands down. Additionally, ESOPs are vulnerable to the business risks of your employer. If your employer declares bankruptcy, for instance, you could lose the ability to contribute to your retirement plan.